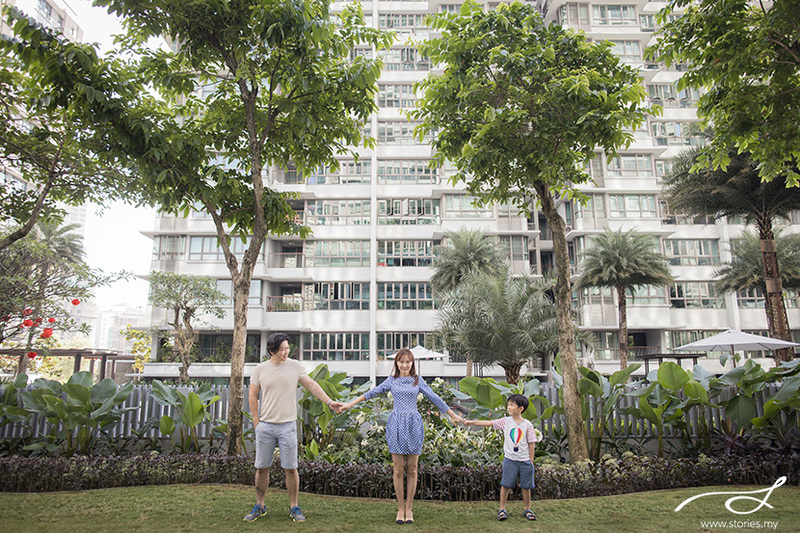 Jeffrey and Juliet are from China, but their hearts are now in Malaysia, after falling in love with this country. They first moved to Malaysia in 2013, when their son was only 3 months old. In 2016, they moved to Brunei but couldn’t stop thinking about the apartment they rented when they were living in Malaysia. So in 2018, they decided to relocate back to that same apartment in Malaysia even though Jeffrey still works in Brunei. It was a place of special memories. For Jeffrey’s 40th birthday, he decided to do something special by arranging for a family portrait session at their beloved home. I had the privilege of seeing snippets of their lives including meeting their very fascinating furless Sphinx cat named Luna. I am also amazed at how beautifully Austen plays the piano! It is truly inspiring. So happy to get to know your family, Jeffrey and Juliet. May you continue to build long lasting memories in Malaysia. 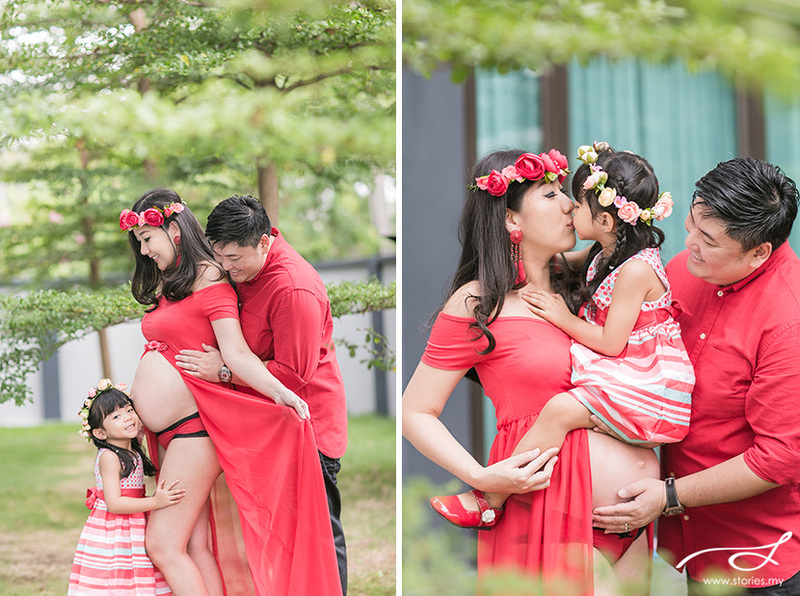 Recently, we received the news that one of our client’s family members passed away one week after our photo session. It was shocking news as the grandma looked healthy and strong. We certainly cannot take life for granted. Incidents like these just reinforces the importance of our work. 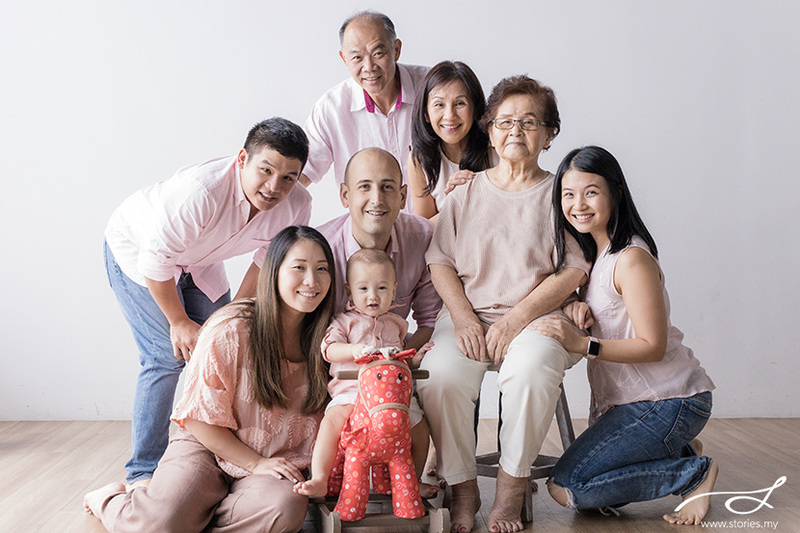 Family members are precious, and we work to capture meaningful relationships between parent and child, husband and wife, and grandparents with their grandchildren. We also knew that this was baby Oliver’s first trip to Malaysia as his family lives in Canada. 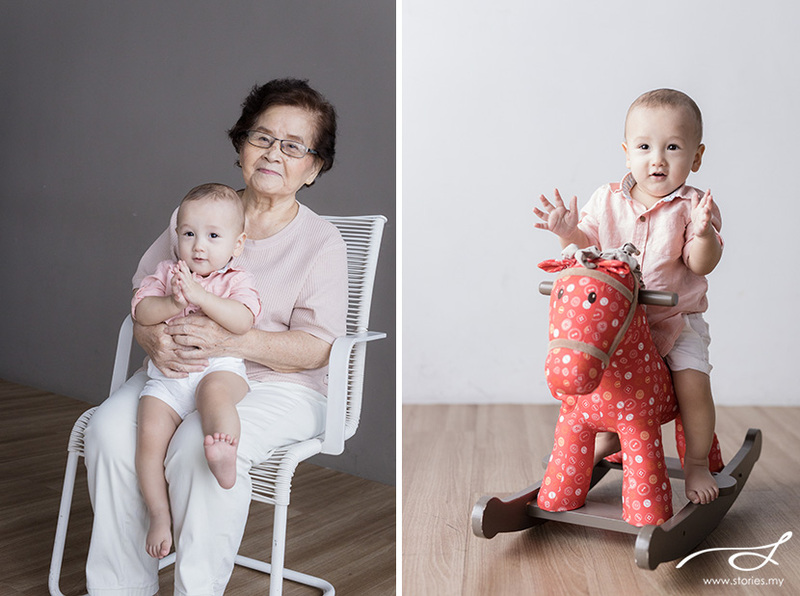 We are glad that we managed to get beautiful photos of Oliver with his great-grandmother for the very first and last time. Our condolences to you and your family, Kathleen, Rachel & Jarrel. May your grandmother rest in peace. As a wedding and portrait photographer, I have seen the extreme highs that couples go through as they set their sights on the one they love, and say their vows to always be there through good and hard times. Personally, as I also speak to couples in my daily life, I realize that it is easy to let the flames die out all too soon. Often times, arguments happen over seemingly small, trivial issues. But it points to deeper, unresolved issues, usually parent and family issues from the past. This is my 13th year of marriage. I have to admit, while my love for Alex has grown deeper through the years, I have also gotten pretty complacent in our marriage. I don’t make much effort to surprise him (ever), think of doing things that truly please his heart or even attempt to wear beautiful lingerie to sleep (I had to put aside my pineapple pyjama pants because of this). We’ve gotten way too comfortable towards each other. That is why I appreciate the little things about him. How he does make the effort to do things like taking care of the kids while I go succulent shopping, plan mini stay-cations in the city or just prepare maggi mee by candle light in our bedroom after a long day of shoot. I love him for all these little things and more. God is reminding me that while it is nice to be the recipient of all these little acts of love, I need to invest in his emotional tank too. I must go beyond my own comfort zone, laziness and make an effort to bring romance into the marriage over and over again. I hope you do too. Happy Valentine’s Day. As a photographer, I get the special privilege of journeying alongside a client and seeing their family grow. One special moment would be during pregnancy… and then finally getting to meet the baby once he or she appears in this world. Time really seems to move so quickly once you have children. Seeing your bump growing beautifully through the months and then finally meeting that teeny little baby who then grows into an adorable toddler… this whole parenthood journey is simply amazing. Thank you, Ka Mun and Tenny for allowing me to be part of this. I hope to see you again really soon! Shafiqah & Syahirah are sisters, and they came over to our studio for a photography session because firstly, they love taking photos, and secondly, they wanted to capture the bond between mother and child, especially at this really cute age. These little baby girls look so alike that you would think they are twins! And if you are wondering who the older children are, they are the babies’ cousins. Everyday is a good day for photos!